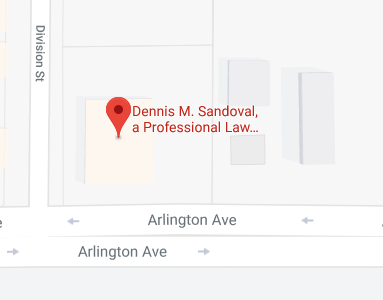 Dennis M Sandoval, a Professional Law Corporation, is an estate planning and elder law firm that serves residents of San Bernardino County, California. This area of the country is full of incredible natural beauty, and there are countless different locations where locals can immerse themselves in nature. Angeles National Forest, Death Valley National Park, Joshua Tree National Park, Mojave National Preserve, and San Bernardino National Forest are all easily accessible, and there are numerous different wilderness areas in San Bernardino County. In addition to the sublime natural beauty, there are many other extraordinary points of interest throughout the county. Calico Ghost Town is a mining town of the old west that arose out of a huge silver strike in the area back in the beginning of the 1880s. There were a few hundred mines in and around the town, and over $20 million of silver was extracted. When you think about the value of money back in those days, that’s a huge figure. This historical treasure is now part of the San Bernardino County Regional Parks system, and it is a great place to bring the whole family. San Bernardino County is a fantastic place to grow up, because it has so much to offer on many different levels. Once you graduate from high school, you do not have to go far to pursue your higher educational dreams. They county is home to the University of Redlands, University of La Verne, San Bernardino Valley College, Victor Valley College, Loma Linda University, California State University at San Bernardino, and a number of other top-notch schools. A person could spend a lifetime in San Bernardino County without experiencing everything that it has to offer. At the same time, all of the communities in the county are a relatively short drive away from the beach, the mountains, the rides and attractions of Disneyland, Knotts Berry Farm, Sea World and Lego Land, as well as many museums, aquariums and other palces of interest. As you are enjoying your life as a resident of this fantastic area, it is important to plan ahead for the future. This is where our elder law and estate planning expertise can enter the picture to provide you with total peace of mind. When it comes to legal matters that are relevant to senior citizens, you should be concerned about the potential impact of long-term care costs. The majority of elders will eventually need help with their activities of daily living, and many of them will reside in nursing homes and assisted living facilities at some point in time. Medicare only covers a small portion of the cost of nursing home care and none of the cost of assisted living and in-home care, and it is exorbitantly expensive. Fortunately, here in our area the costs are somewhat lower than they are in some parts of California, but they are still attention-getting. You can expect to pay $100,000 or more for care in a nursing home, and costs have been consistently trending upward. Medi-Cal is a government administered health insurance program that does pay for skilled nursing home care. Since it is intended for people with very limited financial resources, there is a low asset limit of just $2000. However, some things do not count, including your home and one car. However, persons will greater net worth can qualify for Medi-Cal with careful planning. Veterans who served during a time of war and their spouses may be eligible for financial assistance to pay for the cost of assisted living or in-home care. However, there are strict income and asset guidelines that must be complied with. With can assist veterans with higher net worths to qualify for Aid and Attendance benefits while also preserving a bigger portion of their estate. In addition to this elder law matter, we also help people prepare their assets for distribution to their heirs. There are a number of different ways to go about it, and the execution of a Will is not always the best choice. Revocable living trusts are very beneficial on a number of different levels, and there are other trusts that can be preferable when certain circumstances exist. It is also important to include an incapacity planning component when you are devising your estate plan. With a living will, you can state your preferences with regard to the utilization of life-sustaining measures. Durable powers of attorney can be added to name people to make medical and financial decisions on your behalf if you ever become unable to make them on your own. If you would like to discuss these matters with one of our estate planning lawyers who work in the San Bernardino County Probate Court and provide service to clients from all areas of San Bernardino County, you can schedule a consultation right now by calling 951-888-1460.